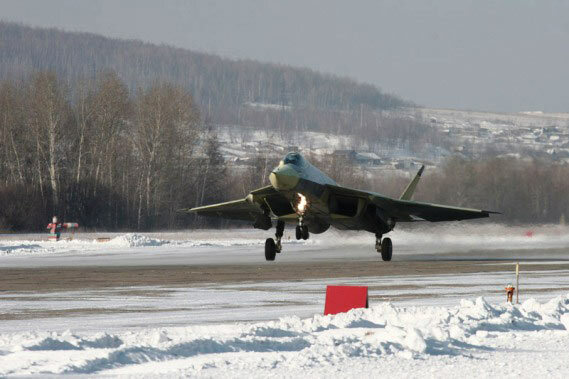 Sukhoi T-50 PAK FA during its maiden flight. Sukhoi Corporation press service Photo. 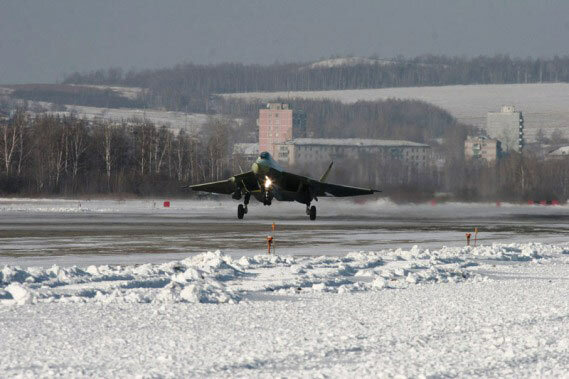 Sukhoi T-50 PAK FA in Komsomolsk-on-Amur, Moscow. Sukhoi Corporation press service Photo. 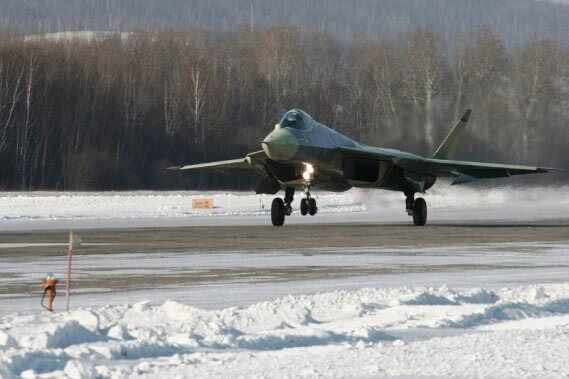 Sukhoi T-50 PAK FA. 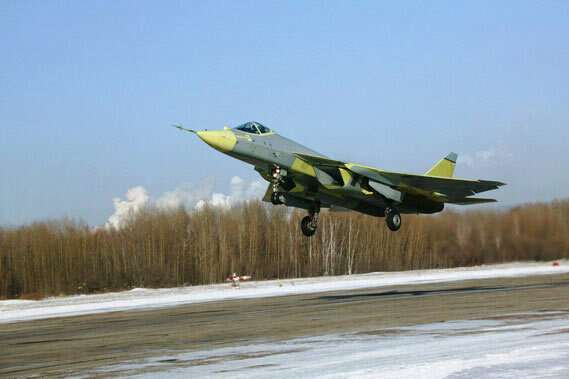 Sukhoi Corporation press service Photo. 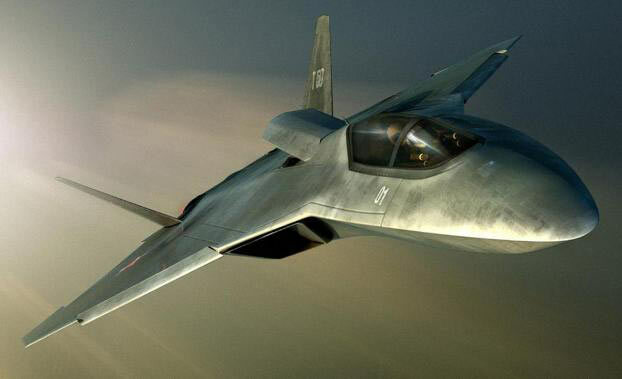 An artist's rendition of Sukhoi PAK FA, the fifth generation fighter aircraft.